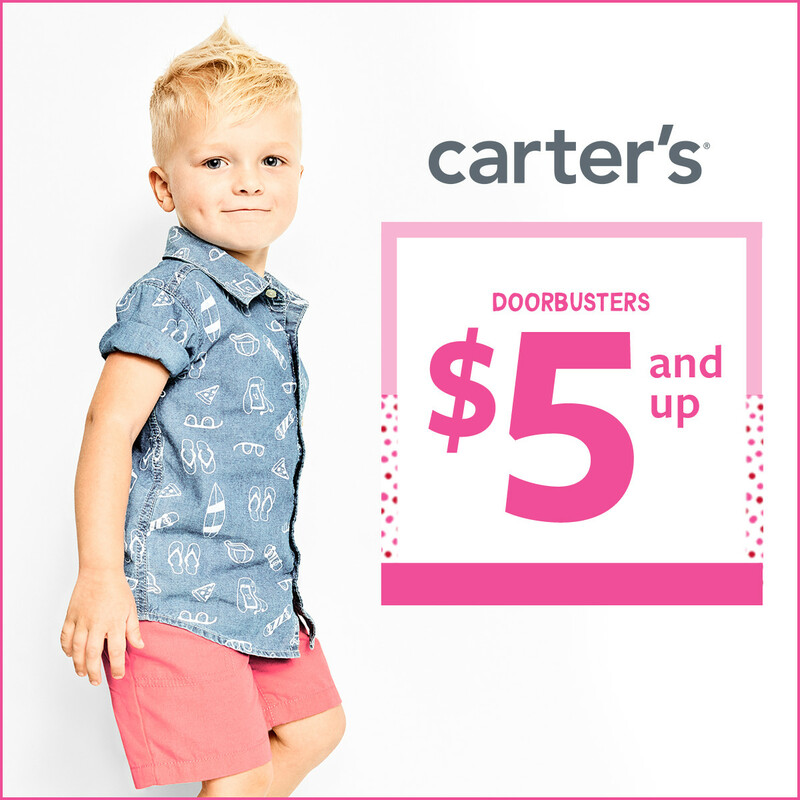 Carter’s – $5 and Up Doorbusters* event! Tees, tanks, shorts, flip flops..Carter’s has all the warm-weather essentials and beyond! Now $5 and up. *Exclusions apply. See store associate for details. Valid 4/9 through 4/22.